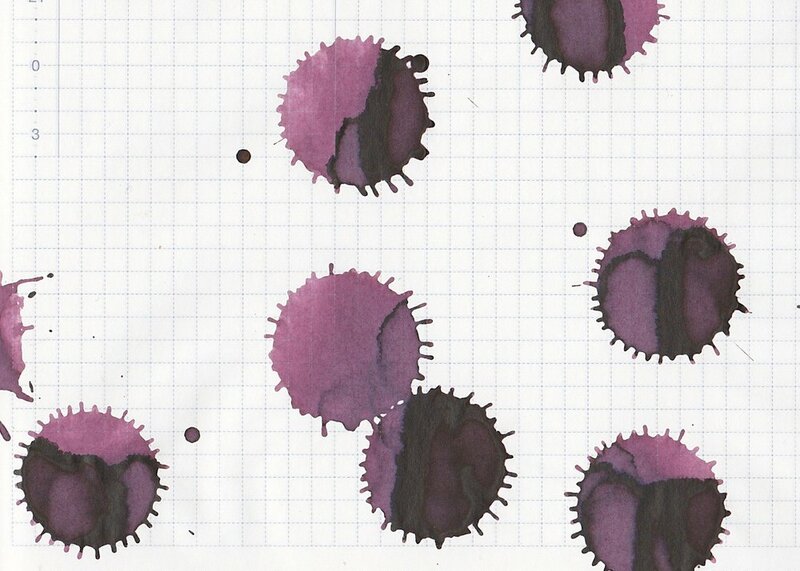 I am still working on getting through all of the Robert Oster inks, so today's ink is Australian Shiraz. Australian Shiraz is a kind of red wine. I purchased my sample from Vanness Pens. Australian Shiraz is a purplish-maroon. Seasonally, I would use this ink in the fall. The ink drops show off the little bit of black sheen the ink has. Other properties: Medium shading, low sheen. You can only see the sheen in the flex nib and wet broad nibs. On 32 pound copy paper, the only problem I had was some feathering in the broad and flex nib, other than that it did great. Ink swabs for comparison, left to right (top to bottom for RSS): Robert Oster Maroon 1789, Robert Oster Australian Shiraz, and Robert Oster Clay Red. Click here to see the Robert Oster inks together. Shiraz is just a little bit more purple than Maroon, and both are a lot darker and more purple than Clay Red. Sailor Jentle Oku-yama, Montblanc Antoine de Saint-exupery, and Diamine Red Dragon. Click here to see the red inks together. 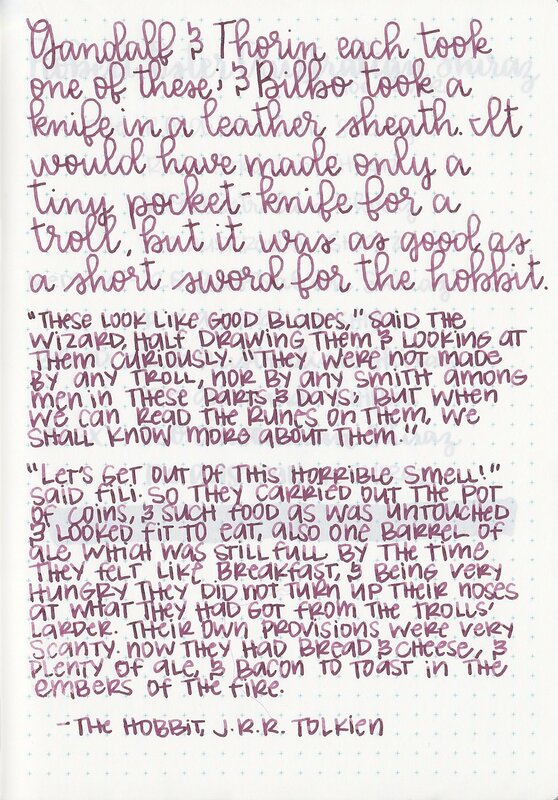 I used a broad Pilot Vanishing Point on Tomoe River. I didn't have any flow issues. Overall, I really like the color and the shading. The sheen isn't too prominent, which is ok. I might need a full bottle of this one, just because the color is so pretty.